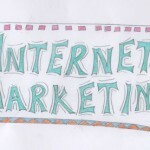 Internet Marketing is imperative for your commercial success. Why? Because we live in a connected world, everyone is connected to everyone else, your competitors are both local and on line. Your potential customers are both local and on line. The difference is, if you’re a local business, while your potential customers may only be local (you don’t sell a product or service on line) they research you on line. They research you on multiple platforms too, that’s why we advise cross channel marketing instead of just internet marketing. Your industry has ‘expert blogs’ those that are considered authority sites by both consumers and search engines. Then there’s social media sites like Facebook and Twitter, G+ and YouTube, your potential customers may look there for information on you, what will they find? Naturally they will probably take a look at your website, is information easy to find? Do you post regular updates on your blog so that people can see that you know what you’re talking about? One of the first places they go, is to their social media profiles. Here are people they trust, so they ask for advice and feedback. They’ll look for your social media pages to try and get a feel for how you do business. They may even watch the interactions for a few days, just to see how you answer any questions and whether you have an active and engaged following. One of the other most important places they’ll look is at any reviews you have, no reviews will be a negative as will of course, bad reviews. Your reputation may have taken you years to build but, in today’s connected world, it can be destroyed in minutes. Monitoring what’s being said and answering those comments is vital to your success.